What is the price of PE900*1200 stone production line? Question: What is the price of PE900*1200 stone production line? Detail: What is the price of PE900*1200 stone production line? PE900*1200 is one of the common standard models of jaw crusher. It is widely used in mining and construction crushing field. 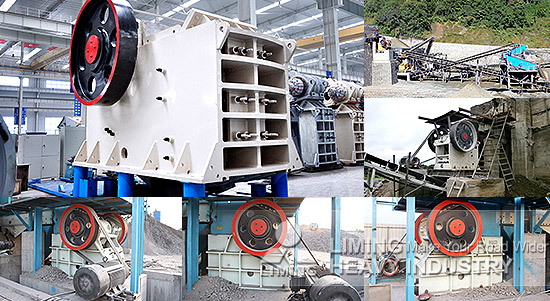 It can be constituted a PE900*1200 stone production line or sand making line with cone crusher, impact crusher, sand making machine and other equipment, to achieve the crushing of limestone, river gravel, granite, basalt and other stone. After years of practice and continuous improvement, Liming Heavy Industry jaw crusher has the features of simple structure, high crushing capacity and stable performance. PE900*1200 jaw crusher can crush the materials of compression strength below 320Mpa, is the first choice of primary crushing. About the PE900*1200 stone production line price, we will provide specific production line configuration and production programs and quotation according to your detailed requirements. We will make sure that you make a minimum investment to get maximum economic benefit. <<Previous：How much is a Raymond Mill with output size 1000-1250 mesh? <<Next：How to contract a mining crushing production line?